The Covenant Car Company, Inc. (TCCCI), the exclusive importer and distributor of Chevrolet vehicles and parts in the Philippines, takes a bigger stage to showcase its strong lineup of vehicles at the 2018 Manila International Auto Show (MIAS). Called ‘Chevrolet Play Hub’, the 662.5-square meter Chevrolet booth area features the all-new 2018 Chevrolet Malibu, the updated 2018 Chevrolet Colorado LTX, the updated 2018 Chevrolet Trailblazer LTX, and the event-exclusive Chevrolet Colorado Hot Wheels edition. A towering goldenrod bowtie takes center stage and lights up the Chevrolet Play Hub to represent Chevrolet’s 107 years of delivering quality products and services in more than 100 countries around the globe and showcase the global brand’s strong presence in the Philippines. Inside the Chevrolet Play Hub is the complete lineup of Chevrolet vehicles, from its best-selling midsize SUV down to its fun and playful mini sub-compact. 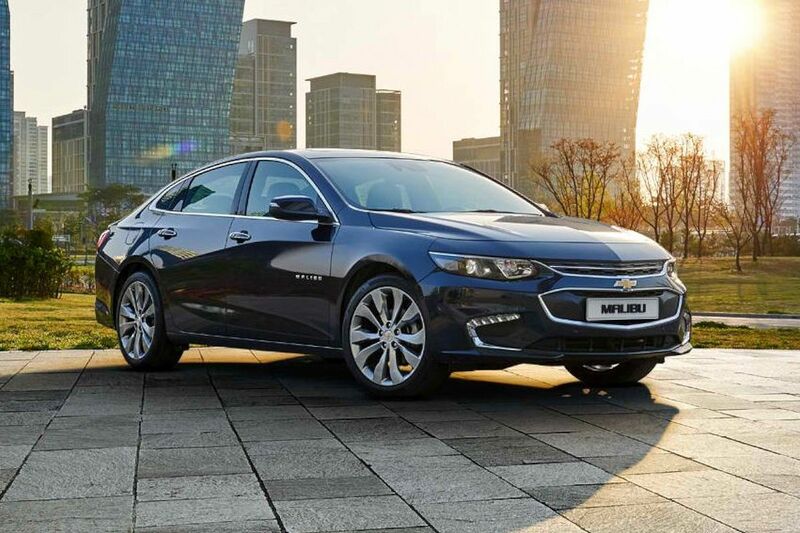 Proudly standing at the center is the all-new 2018 Chevrolet Malibu. The all-new Malibu is packed with best-in-class and first-in-segment features, making it one of the most impressive vehicles on the road. Also on display are the updated 2018 Chevrolet Colorado LTX and Trailblazer LTX. After their successful launch last year, the updated Colorado LTX and Trailblazer LTX variants come with more features, including a hood decal, perforated leather seats with red stitching, and leather steering wheel with red stitching. Adding to the fun is a MIAS-exclusive Chevrolet Colorado Hot Wheels edition. The massive pickup truck comes with cool accessories and upgrades that bring every car and toy enthusiast’s dream to another level. On display also are Chevrolet’s latest offerings: the Chevrolet Trailblazer 7-seater midsize SUV, the Chevrolet Colorado pickup truck, Chevrolet Trax crossover SUV, the Chevrolet Sail sedan, and the Chevrolet Spark mini subcompact. The Chevrolet Play Hub welcomes visitors to see the cars and experience the Chevrolet brand as well. The Connection Center houses the fun and cool Chevy Shop, where visitors can purchase Chevrolet items such as racing jackets, graphic t-shirts, and bags. It also features the Chevrolet Connection Center app, an interactive display that allows visitors to explore the features and capabilities of Chevrolet vehicles without leaving the comforts of the Play Hub. A visit to the Chevrolet MIAS display booth is incomplete without having a great cup of iced or hot Yardstick coffee at the Chevy Lounge. Through its partner, Yardstick Coffee, the brand serves special blends for guests and clients to enjoy while chilling inside the lounge or exploring the hub. The Chevrolet Play Hub also satisfies visitors’ Instagram needs with its photo booth area, spiffed up by Find New Roads neon lights. Visitors get special-edition Chevrolet pins when they take photos inside the booth and post them on their social media accounts with the hashtag #ChevroletPlayHub. Each day from April 5 to 8, Chevrolet will give out cool Chevrolet items to three (3) lucky winners who will post the best #ChevoletPlayHub photos.